Blender Foundation is doing its first work on a full length feature film in Gooseberry project. Also Blender cloud is now active and lot of new content is avaialbe with blender cloud. In that respect, an open movie from India is also shaping up. 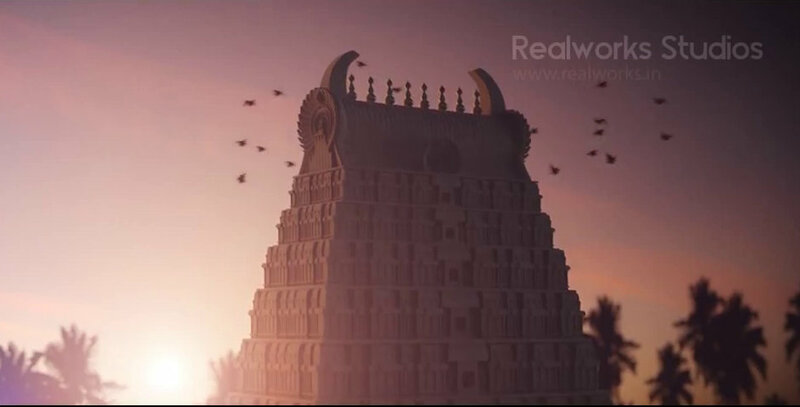 Ranadheeran is a 3D film from South India made with Blender, Gimp and Audacity. The trailer was posted on youtube and showcasing the capabilities of opensource 3D graphics tools with hand made animation. But YES, we did have powerful Graphic cards which were used for rendering! Done using Blender and Cycles, other tools used were GIMP and Audacity. Real Works studios is an initiative of a group of techies from Coimbatore, a small city in South India. Real work studios achieved that quality in animation which huge filmmakers and producers achieved by pumping huge money into a project with low-cost open source softwares and local talent. A three-minute-and-52-second-long video trailer, titled ‘Ranadheeran’, made by Realworks Studios was released on YouTube few weeks ago and has been quite an internet sensation since. Only hand-made animation is used for the movie and no motion capture, the creators claim. The Realworks team have also developed their own Render farm scheduler software to render the whole movie. Blender nation and The Hindu already reported these efforts and the view of the video in youtube is close to 50K.